What Age Group is a Picture Book Best Suitable For? The short answer to this question is 3 to 8 yrs, however I like to say from birth to whatever age you are reading with. Picture books are wonderful for whatever age you want to read aloud and share a moment with. There should never be an age limit for good picture books. Editors of traditional publishing houses will categorize picture books into three main sub-sections. Toddler books - Very simple everyday life stories teaching concepts, eg numbers, colours, shapes, etc. Picture books for 4-8 yrs. -These contain simple stories with plots where a main character evokes emotions and the stories often contain a moral or lesson. However there are two more sub-sections that may also be considered. 4. Early Picture books - Often focused towards the younger age group with less words. The emphasis is more on the illustrations to help convey the meaning of the story. 5. Easy Readers - Still have pictures on nearly every page but are longer in text length for the beginning "independent" reader. With my combination of launching "Frazzled Freya" in ebook format last week and print format this coming weekend, I was a guest blogger on A.J. 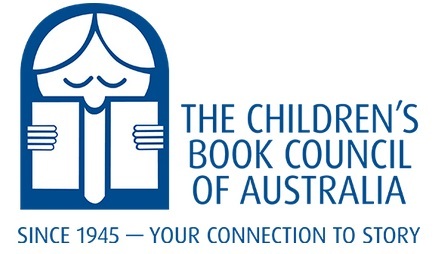 Cosmo's Fellow Friday Blog where I spoke about the significance and importance of picture books as conversation starters for children of all ages. I believe my picture books, along with so many other wonderful picture books are a magical way to inspire children to open up and talk about all manner of topics. Whether they initiate discussions on emotions or learning about writing, authors and illustrators, books are an amazing way to open an unknown world to children no matter how old they are. If you are in Canberra this weekend, Saturday 9th July 2016, come along to The Paperchain Bookstore in Manuka at 2:00 pm. Listen to me read 'Frazzled Freya." Learn a few fun facts about the quirky creatures that are the characters in the story. The kids can make their own paper craft frill neck lizard and even eat a reptilian treat! Everyone is welcome, I would love to meet you and your children. Have you ever been afraid of the dark? Frightened of monsters hidden under your bed or in your wardrobe? Picture books can be a wonderful way to start a conversation with children about ways of facing those fears or sorting through other emotions. Why not read a picture book and start a discussion today? I realized the power of picture books and their potential to start a dialogue when I was teaching a year 5 class one day. It was one of those moments when I needed an impromptu lesson, so I grabbed a picture book out of my trusty resource bag and began to read aloud. The initial class response was stunned silence. What was I thinking reading them something with pictures and very few words! It didn’t take them long to sit back, relax and enjoy the experience. After reading the story, the real work began. A lengthy conversation ensued that lead to some amazing writing of their own. I had re-opened the world of picture books to 10 and 11 year old students. What was this amazing picture book that enlightened and brought so much wonder to our classroom? One of my favourites, “Diary of a Wombat” by Jackie French. Written so simplistically, yet capturing the character of a wombat so magnificently. Since then I’ve now written two Australian picture books myself. My goal, is to introduce unusual Australian creatures to children around the world while opening opportunities for conversations with parents and teachers. Through my stories children can learn a little about Australia’s environment, the animals that call it home and something about themselves along the way. Each book finishes with a few fun facts about the characters contained in the story. My newest release is “Frazzled Freya.” A rather timid frill neck lizard so scared of shadows and unknown monsters she is too frightened to join in all the fun and games with her desert friends. Set in the harsh Australian Outback, the vivid yet earthy colours used by my illustrator, Dianna Budd, depict perfectly the heat of the sun Freya is desperate to avoid. Parents, teachers and children can read along and discover Freya’s journeyto triumph as she conquers her fear with a little help from a few unusual desert friends. The story provides an excellent opportunity to begin talking to your little ones about facing their fears, trying new experiences and stepping outside of their comfort zone. “Emma the Eager Emu,” tells the tale of a very unusual bird who can’t understand why she is so different from all her friends at flying school. She is desperate to learn to fly and be just like everyone else. An assortment of colourful yet different species of Australian birds come to Emma’s aid. Through her tenacity to never give up, Emma eventually learns the significance of individualism and discovers her own special way of doing things. This is another wonderful conversation starter as children struggle to fit into peer groups at school and learn to understand and embrace their own unique qualities and differences. Is there a topic you feel you would like to discuss with your child? I’ll bet you can find a picture book to help lead you into the conversation. So, pick up a picture book today, snuggle with your child tonight, share the book and read aloud together. If you’re a teacher, don’t be afraid to use a picture book in a middle grade classroom. You just might be surprised by the conversation it helps start.